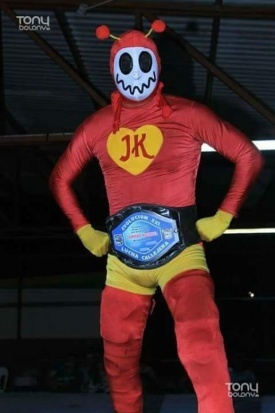 Regular wrestler at Arena El Jaguar in Monterrey. Ripped off the gimmick from regular IWRG luchador Yack. Currently training in Naucalpan wrestling on IWRG FILL shows. Took the Black Man III (although sometimes is just announced to as Black Man) gimmick in 2017, wrestling primarily on Northern Mexico, and Southern Texas. This page was last edited on 2 December 2018, at 10:29.